Among the items he covered was the EU response to the US imposition of countervailing and anti-dumping duties in 2018 on the import of Spanish ripe olives, confirming earlier preliminary determinations to impose provisional duties. 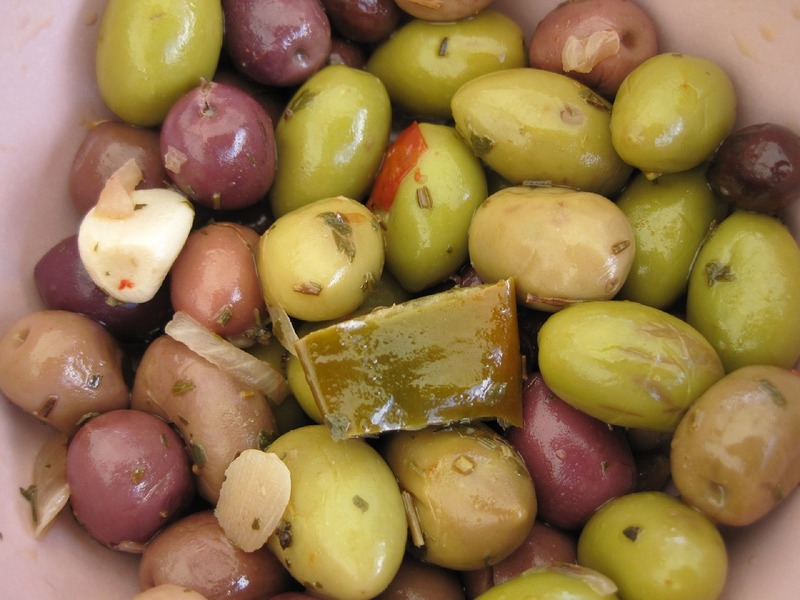 The US action was in response to a complaint by domestic producers of ripe olives that Spanish ripe olives were unfairly subsidised because olive growers received CAP subsidies in the form of direct payments as well as through several other measures. The European Parliamentary Research Service has produced an informative brief on the facts and the history of the dispute. The US Department of Commerce finding sets out an ad valorem countervailable subsidy average duty of 14.75% compared to the provisional 4.47% established in November 2017 and an average ad valorem anti-dumping tariff of 20%, compared to the provisional 17.13% established in the month of January 2018. In total, the ad valorem additional duties imposed on Spanish companies range between 30.1% and 41.5%, with an average value of 34.8%. The exporters, supported by the European Commission, argued that direct payments were not a subsidy to olive production as they were not linked to the production of olives. They also argued that there was no evidence of ‘pass-through’ of any benefit that olive growers might have received to the processors of ripe olives and therefore no subsidy to the exporters. To the contrary, the US Department of Commerce found that the subsidies olive growers received were crop specific and were passed on to the processors and exporters. Recalling that Green Box subsidies are actionable under the Subsidies and Countervailing Measures (SCM) Agreement and give rise to a countervailing duty if there is a finding of adverse effect, in this case, it was found that there was material injury to the domestic industry. As explained by Mr Clarke, the Commission’s view is that this action represents a direct attack on the Green Box nature of the EU’s decoupled direct payments and thus cannot be allowed to go unchallenged. The European Parliament (EP) in a resolution in March last year claimed that “the decision calls into question, in an unfair and arbitrary manner, all the EU’s farming support programmes and could potentially affect all recipients of payments under the CAP”. The Spanish government, in communicating its concern over the US action to the AGRIFISH Council in June 2018, also claimed “that this procedure has put the CAP in question as a whole, and the subsidies granted to European farmers through this policy, which generates a dangerous precedent for the European agricultural sector as a whole”. My own reading of the US justification for its action is not so apocalyptic. The reasoning used in the case was quite specific. The US Department of Commerce accepted evidence that the Basic Payment received by olive growers in the 2014-2020 period was linked to the Single Payment Scheme (SPS) payment they received in the 2005-2013 period. In turn, the grant amount provided to olive farmers under SPS was based on the average grant amount olive farmers received in 1999 through 2002 under the Common Organization of Markets in Oil program. This grant amount provided in 1999 through 2002 was based on the type of crop grown and the production value created from the crop. Therefore, the Department of Commerce concluded that the annual grant amount received by olive growers under the Basic Payment Scheme in 2016 was based on annual grant amounts that were crop specific, as they were directly related to the grant amount only olive growers received under Common Organization of Markets in Oil program. What attracted the Department’s criticism was not direct payments per se, but rather that Spain has continued to use the historical basis for determining the value of the Basic Payment to farmers. It is this link with the past, rather than the nature of decoupled payments in themselves, which was the foundation for the US finding that Spanish ripe olives were subsidised. The EU has sought consultations on this action at the WTO, which is the first step to initiating a dispute and seeking the establishment of a panel to hear the dispute. The EU complaint has several strands. It first claims that the Basic Payment is not a specific subsidy within the meaning of the SCM Agreement and thus cannot be the basis for countervailing action. It also claims that the Commerce Department did not perform a pass-through analysis to confirm that any subsidy to growers did benefit exporters (which the Commerce Department defends on the basis that this is not necessary under US law). Finally, it claims that the injury determination undertaken by the USITC was flawed in several respects. Mr Clarke confirmed to the AGRI Committee that the Commission now intends to escalate this dispute and seek the establishment of a panel. It is possible that the findings might help to clarify some of the legal issues around the trade-distorting effects of decoupled direct payments. In the US – subsidies on cotton case, Brazil claimed, among several other issues, that US domestic subsidies including its decoupled direct payments had an adverse effect on its interests. An adverse effect can be injury to the domestic industry producing the like product, nullification or impairment of benefits, or ‘serious prejudice’ within the meaning of the SCM Agreement. Serious prejudice arises where a subsidy displaces or impedes the imports of a like product into the market of the subsidising country, where it displaces the exports of another member from a third country market, or where it leads to significant price suppression or lost sales. Brazil claimed that a surge in US cotton exports had caused it serious prejudice through displaced export sales and significant price suppression. In evaluating this claim, the panel divided US cotton programmes into two groups: those that were directly contingent on market price levels, such as loan deficiency payments, marketing loss assistance payments and counter-cyclical payments; and those payments that were not, including decoupled direct payments and federal crop insurance. The panel found (and was upheld by the Appellate Body in finding) that US domestic support measures that were directly contingent on market price levels caused serious prejudice in terms of market price suppression for the period 1999 to 2002. “Brazil has not established that, in light of their structure, design and operation, these [non-price contingent] measures – which are more concerned with income support than directly with world price effects – had a sufficient nexus with the marketing of the subsidized product and the price suppression effects as to render their inclusion or non-inclusion in our price suppression analysis legally determinative in respect of the significant price suppression that we have found in the same world market.” (Para. 7. 1350). It is important to underline that the US cotton subsidy finding was made in the context of the particular facts and circumstances of that case, and in different circumstances a panel could arrive at a different conclusion. My good friend and colleague Tomas Garcia Azcarate has called a WTO case around EU direct payments “a potential weapon of mass destruction” but, as he himself admits, being part of the losing EU team in two previous WTO disputes has given him a rather jaundiced view of the working of WTO panels (having been a panel member on three occasions I am less dismissive ). However, this case is brought by the EU against the grounds used by the US to justify its imposition of countervailing duties. The panel might find in favour of the US in the particular facts and circumstances of this case that the decoupled payments to olive growers in Spain are indeed a specific subsidy and therefore open to countervailing action. However, this would have only limited significance in the context of a challenge brought by the US or some other WTO member against the EU’s system of decoupled direct payments as a whole. Here the complainant would have to show that these payments caused, inter alia, ‘significant’ price suppression on world markets or caused it to lose export market share in either the EU or third country markets. This would be a much higher bar to reach, and helps to explain why the EU trade lawyers are not reluctant to pursue the challenge in the case of Spanish ripe olives. Of course, the Spanish ripe olives dispute would pale into insignificance if the US administration goes ahead with its threat to impose countermeasures for the adverse effect it has suffered from the subsidies provided to Airbus which it has claimed amount to $11 billion (the exact figure will be decided by a WTO panel this summer). In addition to helicopters, aircraft and aircraft parts, the list includes agri-food products such as dairy products, citrus fruit, olive oil, olives, fish, wine, fruit juices and essential oils. The WTO dispute settlement system is at breaking point because of the high case load resulting from several US Administration’s trade policy decisions in the past two years, while the Appellate Body will soon be unable to function because of the US veto on the appointment of judges. However, if the EU initiates a formal dispute in the coming weeks, it is likely that a panel would be appointed by the summer and at least a panel report would be produced. Let the fireworks begin! 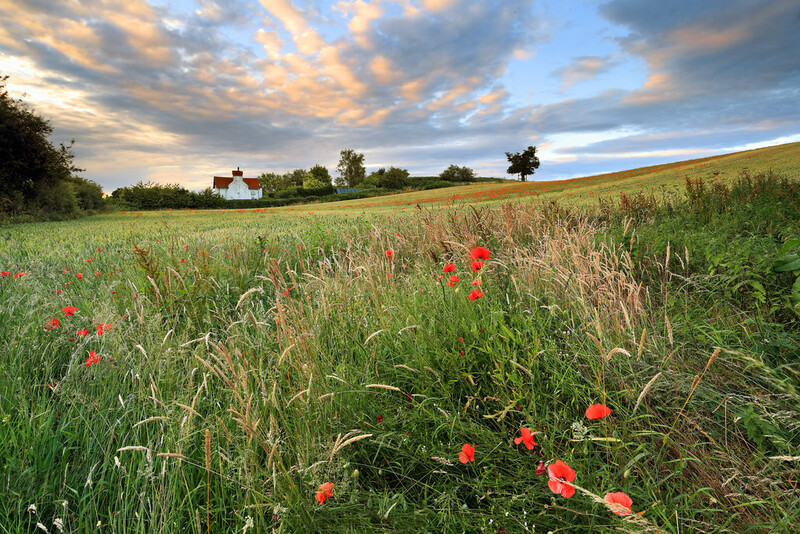 Picture credit: MaxPixels, available under a CC0 Public Domain license. From a practitioner’s view point decoupled subsidies are rarely separated from production in practice – although whether they can be distinguished from other financial devices such as variation in tax rates or different systems of tax allowances is much harder to determine. There is a whole generation of economists that take a simplistic view of profit maximisation failing to realise that this may be a small component compared to value maximisation (e.g. an additional employee or over investment in machinery from taxed income has a material impact on value for the operator but a negative impact on profit). The provision of subsidy as part of the trading income allows this over investment to happen. Many farmers lack experience outside the industry and consequently there is a heightened reluctance to exit when others would consider that the profit was unacceptable for the effort. The subsidy allows businesses to remain in production – an enterprise does not have to be profitable if there is subsidy and will certainly be retained if there is even a contribution to the costs the producer considers to be fixed (whether or not they actually are under more radical management). Inertia whether as a result of tradition or available skill set is high and in some cases (such as olives?) change may require a change in generation. A producer may swap from wheat to barley but probably not from wheat to olives or olives to wheat since it requires investment, or the discard of investment, and is therefore a long term decision. Political or social change may easily strand the additional investment making the change from perhaps a 100 years of experience high risk. Cotton growers may change but probably not cotton processors. It may also be worth noting that sometimes lower prices results in increased production. If milk price falls a few extra cows is sometimes and easy solution even if there is a marginal fall in the quality of life. It is interesting to note that based on the UK Farm Business Survey figures for grazing livestock published earlier this week even the average farm was nowhere close to the scale that most practitioners would argue was necessary to define a commercial unit. The point is that whether a historic basis specific to the crop, or a more general basis of a common industry wide subsidy, the subsidy does distort production. Can there be any dispute that the beneficiary is better off and under less pressure to do something else? The subsidy is not green box in any material sense. This does not make it wrong or undesirable but it is important to be honest. Society perhaps needs to determine what it wants. A European or US model of farming may both be justified but should not be allowed to impinge on each other. Ultimately more food is probably good for the world even if Europe and the USA increasing waddle with too much themselves.